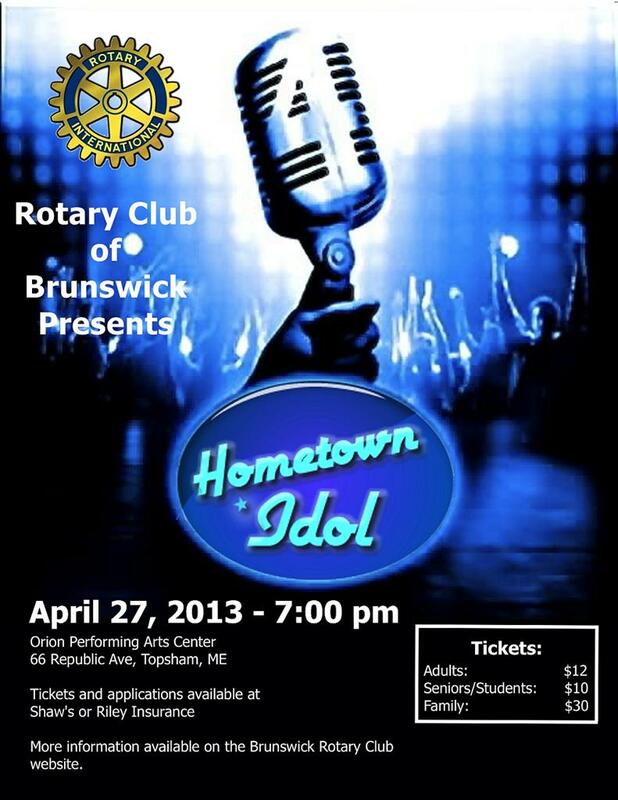 The Rotary Club of Brunswick, Maine wishes to thank all who participated in the Second Annual Hometown Idol and helped to make it a successful event. We would especially like to thank our sponsors for the event, without whom it would not be possible. Thank you again and we'll see you next year.